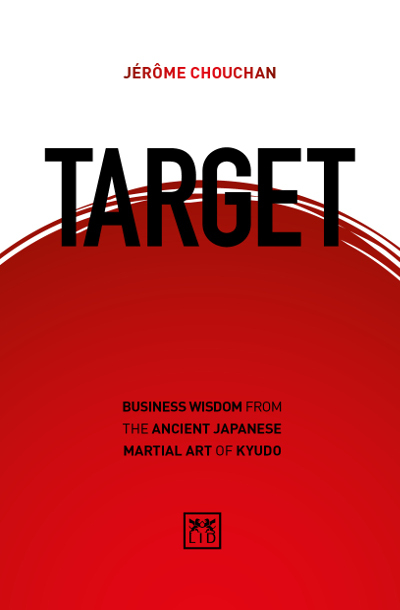 Target presents a unique approach to business and life, taking inspiration from the wisdom of the ancient Japanese martial art of archery – Kyudo. Kyudo has a particular teaching: Right shooting always results in a hit . This means that you shouldn t worry about simply hitting the target; instead, you should calmly focus your energy and willpower on proper mindset and form. In doing so, this right-minded shooting will naturally result in a hit. In the business world, we are all under the pressure of hitting sales targets, improving profit margins, increasing efficiency and maintaining relationships. The philosophy of Kyudo gives new perspectives and solutions to the struggles and opportunities that anyone may encounter in their business and career. Target stands as a relevant guide to our modern times. The Kyudo aphorisms have been passed from Japanese masters directly to the author, and have been put into practice for professional and personal situations. Business and career inspirations from the ancient Japanese martial art of Kyudo. ● In the same vein as Sun Tzu’s The Art of War, this book provides intriguing (and at times contrarian) perspectives and solutions for modern-day business. ● Written by a senior and successful Western manager who has lived in Japan and practised Kyudo for several years. ● Inspiring book for any businessperson looking for a more rewarding life and career (beyond just hitting targets). Jerome Chouchan is the Managing Director of Godiva Chocolatier for Japan, South Korea, Australia and New Zealand. He has been practicing Kyudo for 25 years. He is a Board Director of the International Kyudo Federation. Founded in 1987 by a former engineer in China's People's Liberation Army (Ren Zhengfei), Huawei Technologies is today the world's largest telecoms equipment manufacturer and second behind Apple in smartphones. Its emergence into a multinational with over 175,000 employees all around the world is nothing short of extraordinary. This book gets to the heart of the pioneers within Huawei - the individuals who blazed a trail through unexplored and undeveloped territories, that enabled Huawei to expand globally in such impressive terms. Their personal stories tell us about the extraordinary commitment, determination, and ability required for companies to establish new ground in some of the most difficult parts of the world. This unconventional form of heroism remains a central part of Huawei's culture and makes it stand out in today's business world. The future of business will be all about “business as unusual”. The rising wave of new technology in particular will mean companies and individuals will experience change at a rate and scale that will surprise many. In this book, a leading futurist and consultant provides a unique perspective for understanding and managing such change. Hyttffors draws from the idea of yogic philosophy and the concept of mind mastery to help managers address the future of rapid change. He weaves together cutting edge technology with ancient Indian philosophy to increase business leaders’ understanding of how everything is becoming interconnected, and how current problems on a macro level and disruptive technologies (as solutions) will change the world. Moreover, he argues that successful management of change can be achieved by managers through a deeper understanding of human emotions. In 2012, the Chinese company Huawei Technologies overtook Ericsson to become the world’s largest telecommunications equipment manufacturer, firmly establishing itself on the world business map. Today, it has over 170,000 employees worldwide and in 2014 the company generated a remarkable profit of $5.5 billion. Whilst research and development and the technology that results from it are core drivers of Huawei’s success, the company’s amazing growth is also determined by its human resource strategy. This is based on a “customer-first” attitude, the belief that obtaining opportunities is through hard work and, above all, “a dedication to do the best in anything we do”. How Huawei promotes this dedication amongst its workforce is the subject of this important book. Through original incentive systems, employee ownership and the mentality to act like a boss, Huawei has managed to create a culture of dedication that has become the bedrock of its growth today. People find it difficult to express ideas and solve problems purely with words. They find it much easier to use diagrams. Distilled into this single, handy-sized volume are 50 of the most useful diagrams, which are used by consultants, academics, MBA students and smart managers globally to aid their problem-solving and thinking. Triangle and pyramids, grids and axes, timelines, flows and concepts, circles - the 50 diagrams are each visually presented and then explained in an accessible manner, including tips and advice on how you can apply them to your own situations.